Here are some easy zucchini recipes. 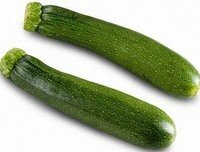 Zucchini or courgette is a small summer squash. It can be yellow, green or light green, and generally has a similar shape to a ridged cucumber. Before we get to the zucchini recipes, here are some of the health benefits of zucchini. It is an excellent vegetable for you if you aiming at reducing your weight. Zucchini is low in calories. It is also a good source of vitamin C. It is known to have powerful antioxidant properties, which helps the body to fight against free radicals. It is rich in important minerals such as manganese. As carrots, even zucchini is a good source of beta carotene. This is converted into vitamin A by our body and is good for the eyes. Zucchini Casserole - Looking for a easy zucchini casserole, well here it is. Zucchini Soup - This zucchini soup recipe is really healthy as there is not much butter or other fat. Stuffed Zucchini - stuffed zucchini recipe is so delicious. Zucchini is stuffed with tomatoes, cheese and flavored with herbs. Zucchini Bread - Ideal for your sweet tooth this easy zucchini bread is a very good recipe, especially for children who don't eat zucchini otherwise. Melt the butter in a frying pan and saute the garlic, onion and mushroom until soft. Steam the zucchini and mash it coarsely with a fork. Combine the zucchini, half of the cheese, basil, cayenne, salt, pepper and the beaten eggs, in a bowl. Add the mushroom mixture in this. Pour this in a oven proof dish. Top with the rest of the cheese and bake in a preheated oven at 180°C for 30 minutes or until the eggs are set. Peel and cut the potatoes in big chunks. Boil them with the stock in a pressure cooker. One whistle will be sufficient. Meanwhile, melt the butter in a frying pan and cook the garlic and zucchini until soft. In a blender add the zucchini, boiled potatoes and stock, along with fresh coriander or basil. Blend until combined well. Season well with salt and black pepper. A very simple and delicious zucchini recipe. Cut the zucchini lengthwise and scoop out as much flesh as possible, using a spoon, without breaking the shell. Chop the flesh and keep aside. Brush the zucchini shells on the inside with olive oil. Bake for 10 minutes in a preheated oven at 180°C. Meanwhile, melt the butter with olive oil in a pan. Add the onion and garlic till soft. Add the chopped zucchini and tomatoes and cook for another 5 minutes. Remove from heat and add the rest of the ingredients except cheese and mix well. Divide this mixture equally in the baked zucchini shells. Top with both the cheese and return to the oven and bake for another 15-20 minutes, until the cheese browns. Hope you enjoyed these zucchini recipes.